This timely book addresses the need for increasing multi-agency capacity in schools, as the success of initiatives such as ‘Every Child Matters’ or ‘personalised learning’ depends on teachers understanding the challenges faced by young people in learning effectively and happily in their school. how to facilitate change through making use of resources that are already available in the education system. 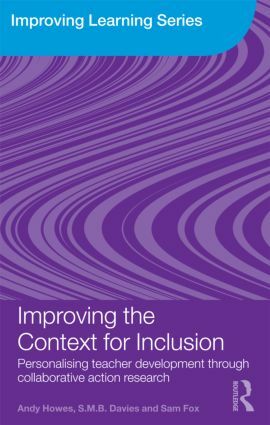 Improving the Context for Inclusion is fascinating reading for all students of education, especially those with an interest in inclusion. Teachers, school leaders and those working in education services will gain an invaluable insight in to how to create an inclusive school environment.